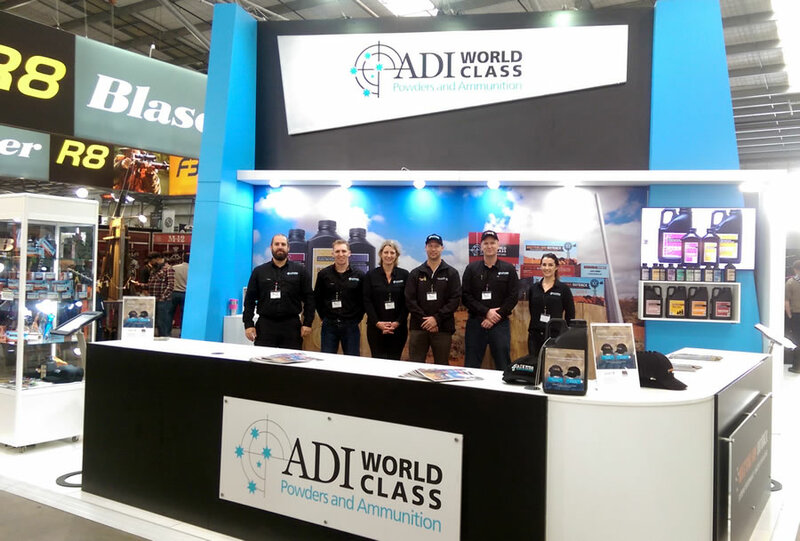 Australian Munitions was present to promote our ADI World Class Powders and Australian Outback Ammunition brands, we all enjoyed spending time with our customers, sharing our product updates, engaging with the wider hunting and shooting community and provide reloading and technical information to consumers. Australian Munitions presented the recent packaging rebrand of the Australian Outback range at the show. Customers praised the high quality and performance of the ammunition. In addition, Australian Outback also extended their product range to include the .243 calibre to our family of ammunition and components. The event was a prime opportunity to again reassure our customers of the ongoing supply of product from our new world class factory being built in Mulwala, – the most advanced propellant factory in the world. This new facility, commissioned by the Commonwealth, utilises modern technology to reduce environmental risks and impacts, while improving safety in processing, and opens up a range of other opportunities for propellant design and our newly developed Australian Pistol Shotgun (APS) range. The generosity of the ADI and Australian Outback communities raised around $880 which will be donated to the Soldier on and Legacy charities on behalf of Australian Munitions. Thank you to everyone to come by to visit our stand and contributed to the smooth running of the weekend, it is an exciting time to be part of Australian Munitions and the Australian hunting, shooting a reloading community! Next Next post: 308 and 223 Back in Stock!